The ARDR token is trading! Today, on October 13th, at block height 1000000, or 42 days before the Nxt blockchain’s 3rd birthday, the Nxt 1.0 -> Nxt 2.0 snapshot period came to an end, and 998.999.495 ARDR assets were automatically distributed to all accounts which had held any amount of NXT since the first snapshot was taken 3 months ago. Poloniex has distributed ARDR. We’re waiting for them to open a market. ARDR assets have been distributed to all NXT-holding accounts on participating centralised exchanges and now need to be distributed among the exchanges’ customers. The distribution method used will depend on each respective exchange’s internal architecture, so the Nxt team and community can’t provide a universal solution for Ardor distribution within exchanges. Poloniex, Bittrex, HitBTC, BTC38, etc., must be contacted directly by their customers for more information about their distribution method, if you haven’t yet received your ARDR. HitBTC was the first centralised exchange to open a BTC < > ARDR market, but more exchanges are expected to follow soon. As most NXT-exchanges have active Nxt asset markets going too, it will be very easy for them to add ARDR. One snapshot remains – if you want to get full value for your NXT. Ignis will be the first child chain, which is guaranteed to get launched on the Ardor platform. In Nxt 2.0, Ardor is the token used for creating consensus and Ignis will be the first transactional token. It will be created at the Ardor Genesis block. Free Ignis tokens will be distributed with a ratio of at least 1:0.5 to all NXT-holders at Genesis. A last snapshot of the Nxt blockchain will be taken just before that, so Ignis can launch together with Ardor. Ignis will inherit all the current Nxt core features, but will be have others added and be further developed by the Nxt development team. The snapshot will be taken in Q3 2017. And the unparalleled Nxt platform? Nxt will continue, and be supported, by the Nxt core devs. And that’s the case. If Nxt is not the platform to start coding your new Ardor Nxt 2.0 projects on, then which? With the Nxt Foundation marketing it, with an educational book about Nxt 1.0 coming out soon, with businesses rushing in to get into the best blockchain tech before the technology itself disrupts them…. will it be wise to sell NXT? We have projects using the public Nxt blockchain which will need to be supported for at least the next 2 years and probably longer. 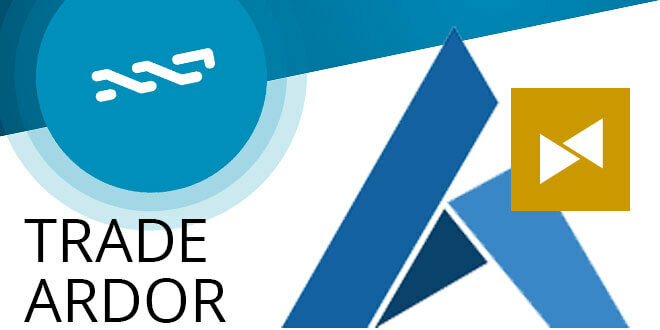 We’re also in the process of bringing in more core devs for Nxt as well as for Ardor, with the aim of establishing 2 semi-independent core dev teams. There has been lot of public FUD and confusion about all of this, so I hope this clears up any questions or doubts that you may have about the future plans for Nxt and Ardor. DeBuNe is currently looking for extra developers to join their distributed team. m19: “We are creating our own custom version of NXT/Ardor and some of the changes you make might even end up in the core, we are in no way competing with them but instead actively supporting it. LQD asset CEO libertynow [2:37 AM]: “If NXT goes below the Oct 4 bottom at 1667 I’ll start getting worried. well, not really. i don’t care that much. I can just use the NXT for divs if I really need to”. Congrats with your ARDR assets. Exchanges are open. The future will not be centralised. It will be you.